Energy efficiency – Don’t Risk It. – Air-conditioning Forum – ARMA\’s Consumer Community Forum – Because Customers Matter! 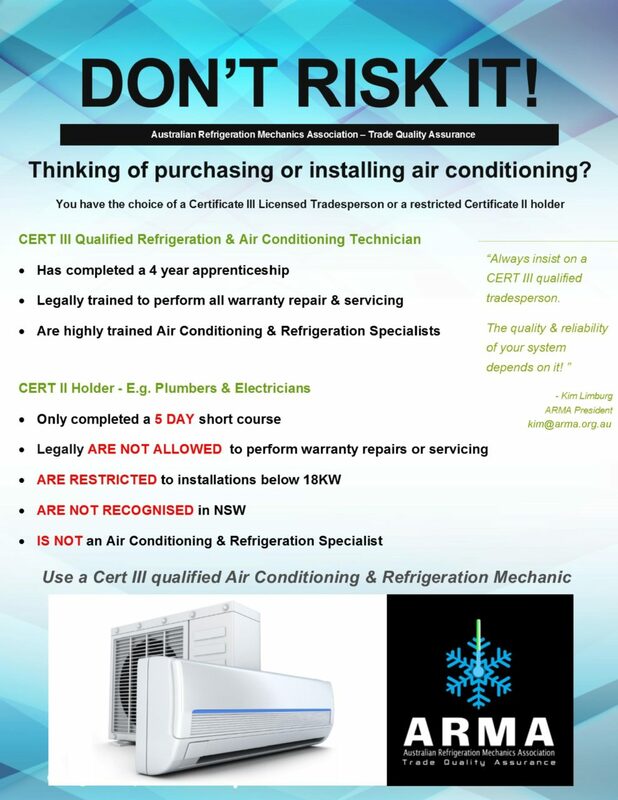 Always ensure your split sysytems are installed and serviced by a trade qualified refrigeration and air conditioning tradesperson.